Casino operator Landing has lost half its market value amid news that its chairman is unreachable. It’s the second such case in three days. Overdependence on top executives continues to plague many Chinese companies, and they’re exposed to hazards uncommon in other markets. 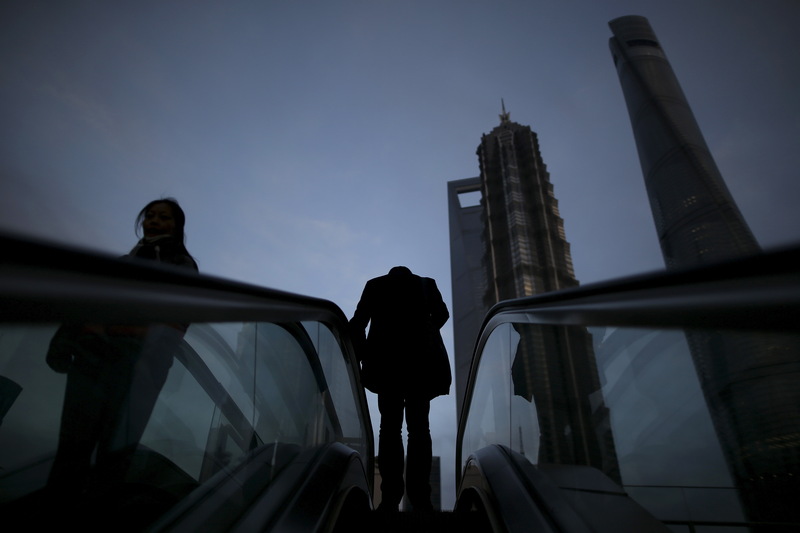 People ride escalators in the financial district of Pudong in Shanghai, China, March 15, 2016. Hong Kong-listed casino operator Landing International Development said it had lost contact with its chairman since Aug. 23. The company’s shares were down 47 percent at midday (GMT 0400) on Aug. 24 from where they were trading at the market close on Aug. 22. In a statement to the Hong Kong stock exchange, Landing said it had been "unable to contact or reach" Chairman Yang Zhihui. Separately, Shenzhen-listed Steyr Motors said on Aug. 21 that it was unable to reach its chairman, Li Xiaozhen. Its shares have fallen 17 percent since the close of business on Aug. 20.